A recent post looked at Cllr. Anna Mbachu’s unfortunate performance at an employment tribunal. Now news emerges that her register of interests form is also generating controversy. 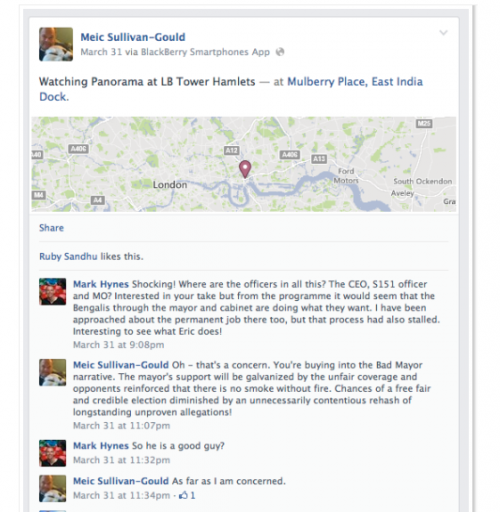 It is a matter of public record that, alongside two others, Cllr. Mbachu is a director of Knice Industries Ltd (company no.10018580), a business formed in February 2016 to pursue the ‘letting and operating of own or leased real estate’. 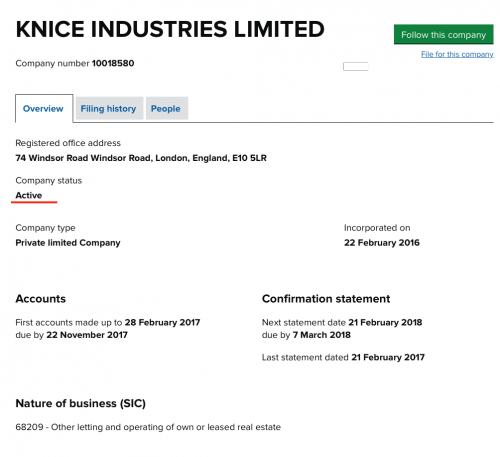 ‘The company Knice Industries ltd [sic] is dormant and had [sic] never traded and that [sic] the councillor has applied to strike the company off the Companies House Register. I have advised the Councillor that strictly speaking the interest should have been declared but given the company has always been dormant is now in process of being struck off [sic] I am satisfied that there is no conflict of interest, nor any continuing interest that need be declared in the Register of Members Interests’. Yet if this is designed to provide reassurance, it fails. Mr. Hynes is right to concede that being a director of a private company is an interest that should be disclosed – it is certainly an ‘office…carried on for profit or gain’. The difficulties start when he turns to explain why he gives Cllr. Mbachu a free pass in this particular case. However, a more important reservation relates to Mr Hynes’ logic. For if the winding up is happening at all, it is happening now, and so it cannot be brandished as an excuse for anything that occurred previously – and specifically in the many months that elapsed between Cllr. Mbachu’s initial appointment and Mr. Hynes’ recent pronouncement. Indeed, though Mr Hynes’ language is a little forthright by today’s hyper-sensitive standards (as Ted Jeory dryly commented even back then: ‘I’m not sure “the Bengalis” is a term he’d like to use again’), his belief in procedure, and insistence that officers should actively uphold standards, shines through. So what explains Mr Hynes relatively relaxed stance over Knice Industries? It is possible that he understood there to be a precedent. 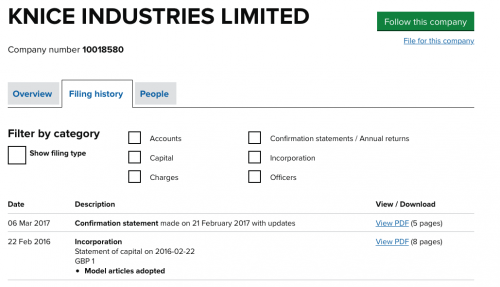 For Companies House reveals that for four months in 2014 Cllr. Mbachu was registered as a director of a movie company, Homefront Films Ltd (no. 08910358), which really was dormant; she did not declare this on her register of interests form either; and it is surely unlikely that such an outcome would have occurred without the explicit agreement of one or other of Mr. Hynes’ predecessors. If this supposition is correct, the issue becomes one of accountability and transparency. Exactly who decided upon the precedent, and why? Where is it recorded? And have all councillors been apprised of it or only a chosen few? Whatever the exact truth about the details, this case as a whole, like its predecessors cross-referenced below, earns LBWF little credit. The register of interests is a key component of the local democratic process, because if it is not strictly administered, then both councillors and residents lose out, the former because they may be subject to unjustifiable suspicion about their motives, the latter because they are denied knowledge of (real or potential) conflicting allegiances. Accordingly, the hope must be that Mr. Hynes swiftly rediscovers his former zeal, and puts LBWF fully in order.